Solo Sagrado is an interesting site to visit on weekends!! Lot`s of good places to shoot a good photo!! Beautiful curves in Solo Sagrado! Beautiful composition. 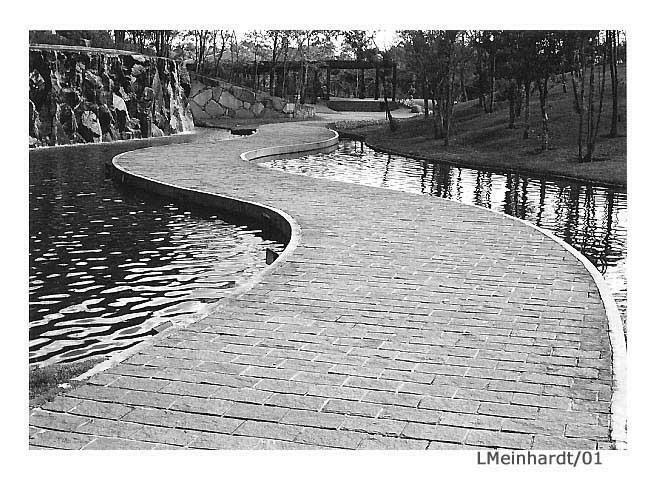 I really like the winding walkway with reflections on one side and just the ripples in the water on the other side. The BW is excellent for this photo! Nioce textures, great composition! Great composition, brightness and tonalitys!